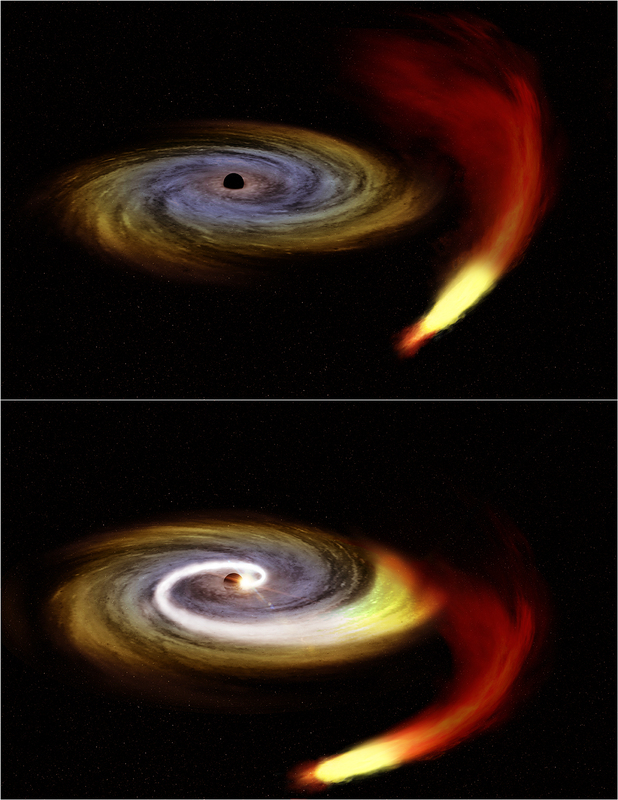 The artist's illustrations represent a possible explanation for a recent increase in X-ray flares from Sgr A* seen by three telescopes including Chandra. 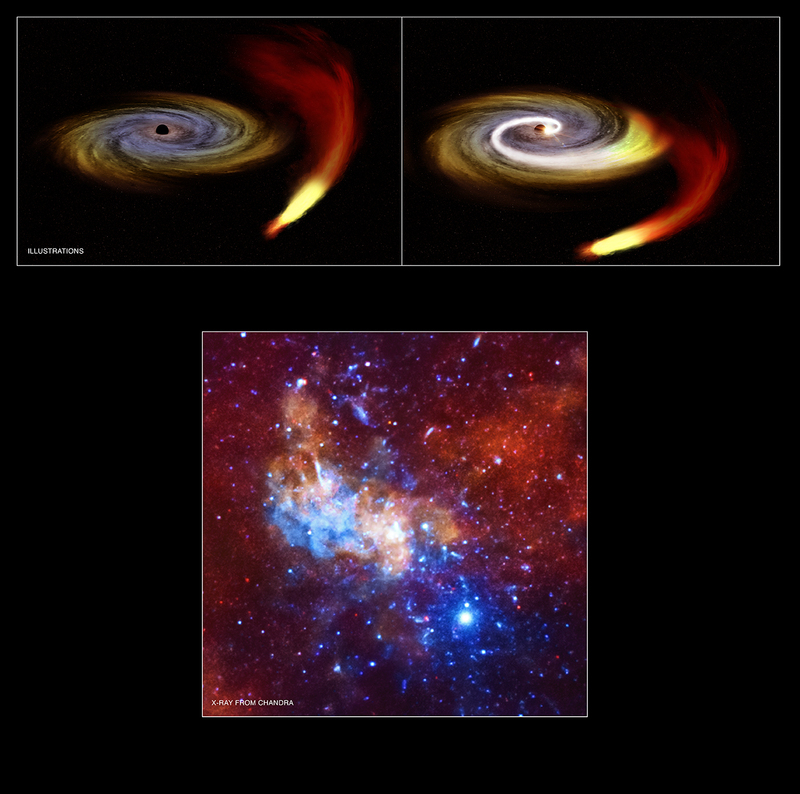 As part of a long monitoring campaign, astronomers observed Sgr A* as a mysterious object called G2 appeared to pass close to the Milky Way's supermassive black hole. 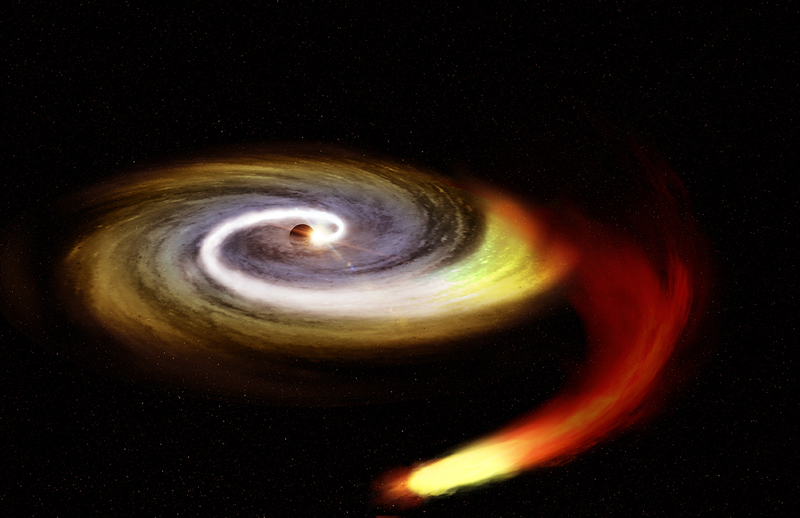 The timing of G2's passage could suggest that material from G2 caused the surge in X-ray activity, but it is also possible that this unrelated behavior of Sgr A*. 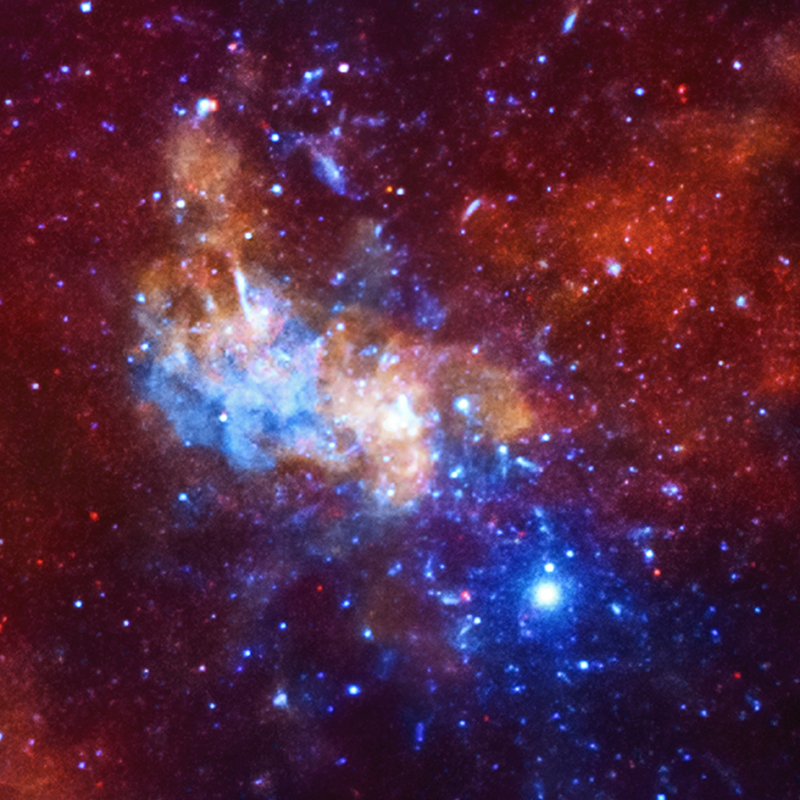 This image shows Chandra's view of the region around Sgr A*, where red, green, and blue show low, medium, and high-energy X-rays detected by Chandra, respectively. 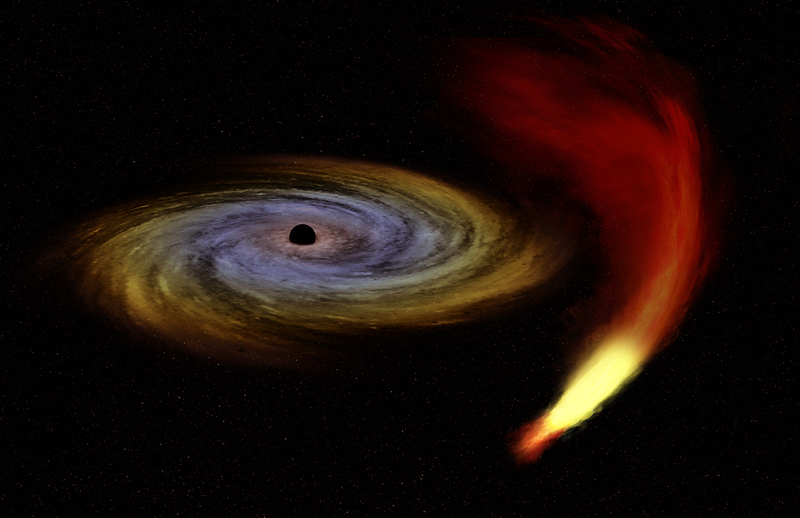 Sgr A* is the 4-million-solar-mass black hole at the center of our Milky Way galaxy.